A silenced universal disc for wet table saws. The traditional design of the segments and laser welding make it an extremely reliable product. The excellent performance is guaranteed by the height of the 10 mm segments. 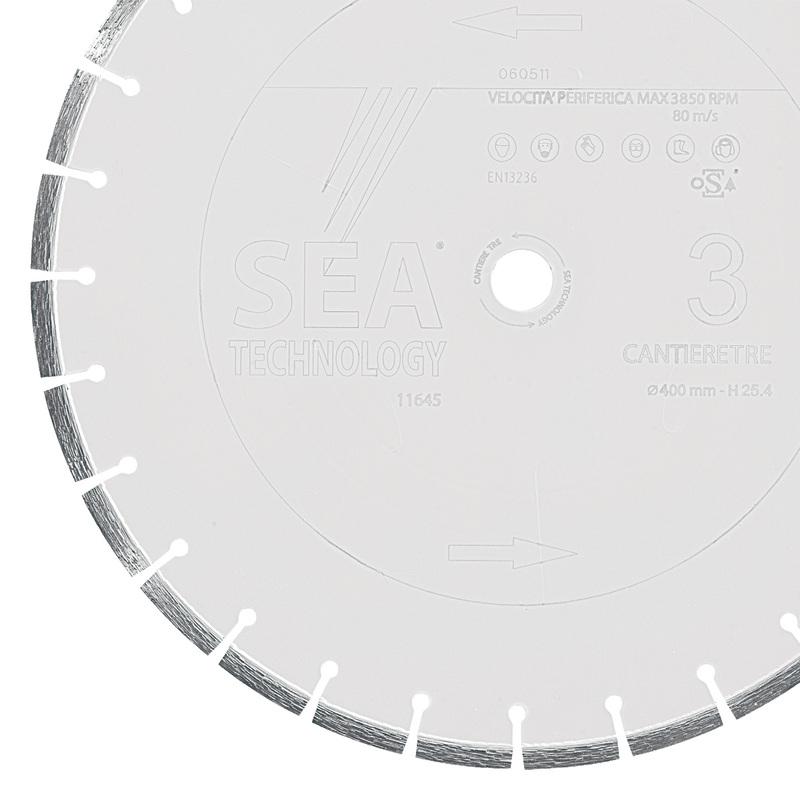 SEA TECHNOLOGY is a company specialized in the production and sales of diamond tools and construction (building) machinery for professional cutting and drilling. Our products are essentially designed for a professional user market, for example companies which carry out controlled demolition, cutting of industrial flooring, production of pre-fabricated buildings and the specialized sale of building equipment. Keep in touch with Sea Technology, you will receive a regular newsletter with offers preview, promotions and product launches. I read the text concerning protection of data and agree to the storage of the same. Iscr. Reg. Imp. Reggio E., Cod. Fisc. e Partita IVA: 02430900353 - R.E.A. di Reggio E. n° 280617 - Capitale Sociale € 200.000,00 int. vers.